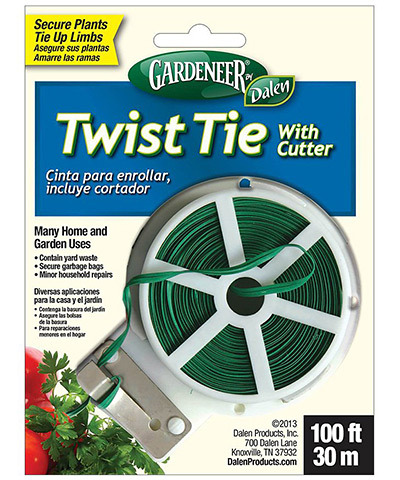 Support your growing plants with the Gardeneer Twist Tie Plant Securer with Cutter. This handy kit contains 100 feet of sturdy twist ties on a roll. The bottom of the roll has a metal cutter to easily clip your twists to the desired length. The plastic coated wire ties attach quickly and easily to your plants, and can be removed if necessary. Keep your vines and plants growing strong with help from the Twist Tie Plant Securer with Cutter.